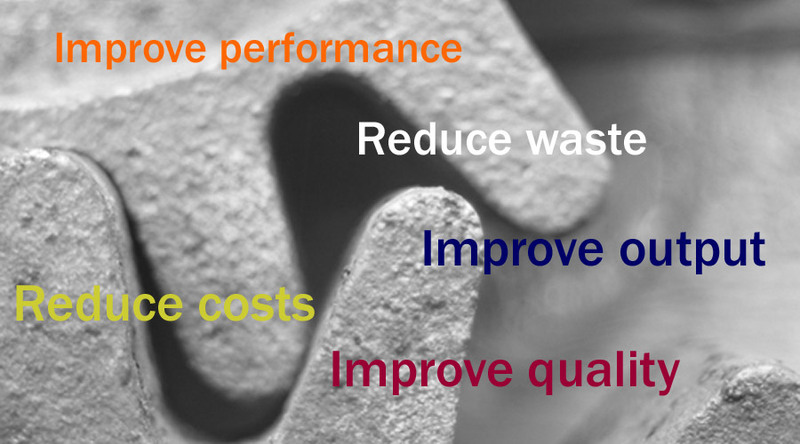 Our services deliver tangible benefits, achieving waste & cost reduction and improved quality & performance. Intra are experienced in optimising the operation and efficiency of existing buildings and processes, often by implementing low or no cost measures. We have delivered many industrial reviews that have reduced waste & costs and improved quality & performance. We also have considerable experience in the re-engineering of industrial processes to achieve meaningful improvement, and have provided many of our clients with significant competitive advantage as a result. Projects have ranged from process heating, drying and cooling systems to plastic moulding machines and industrial presses. Performance improvements have included shorter production cycle times, reduced waste and rejected product and lower energy consumption and costs. Modifications often centre on reconfiguration or rebalancing of water or air distribution systems, upgrading or recommissioning of controls or reviewing plant operating strategies. Plant that is operating inefficiently usually has a detrmental effect on product quality. We have facilitated a range of improvements including reduced plant start up times, reduction in waste product and improvement in product quality - all leading to cost savings, improved competitiveness and lower emissions. The foundation for this aspect of our work is our experience in data logging and thermographic imaging which we utilise to accurately monitor plant performance.